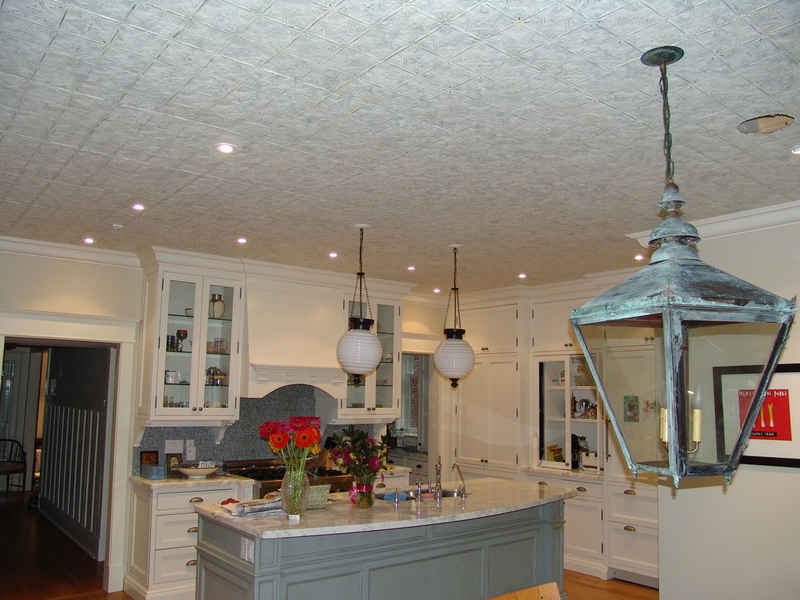 Check out this hand painted tin ceiling. It looks even better when your standing under it looking up at it. Two weeks of labour for the master artist Andrew Bak “The Bakinator”. Renaissance Painters, Toronto Painters has been working on this project for the last year intermittently. This powder room is so beautiful. 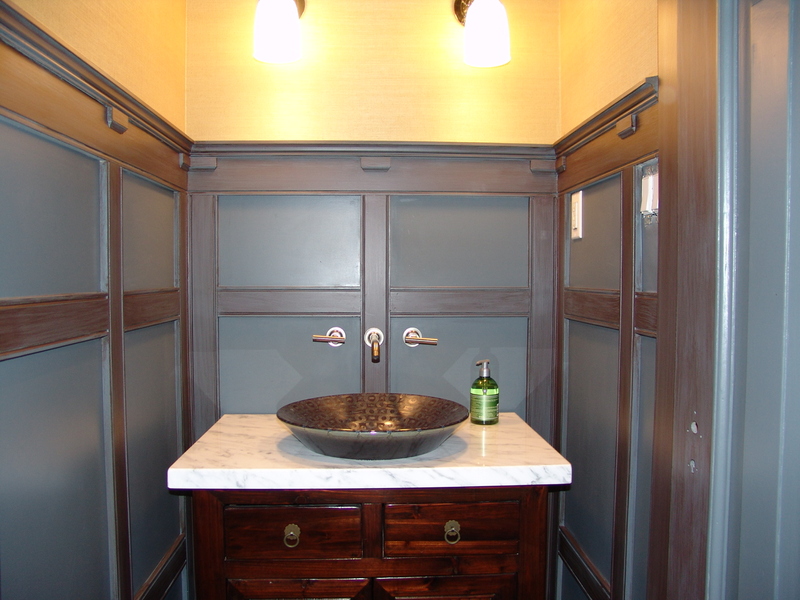 All the walls were sprayed with a glazed accent colour painted by hand to complement the tones in the sink. The wallpaper is quite striking as well. Toronto painters, Renaissance Painters are almost finished this restoration project after one year. 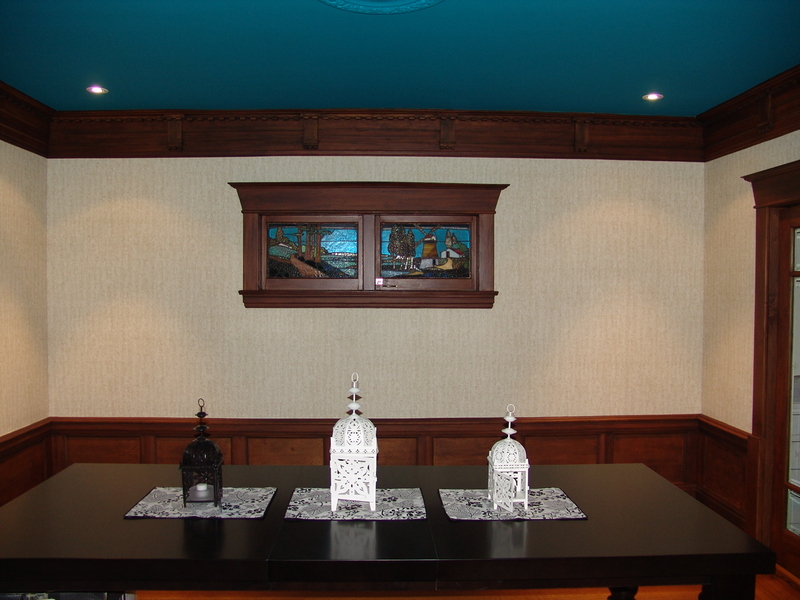 This dining room is fantastic: classic wallpaper, hand stained trim that was stripped and restored, and the turquoise ceiling, the clients favorite colour. This painted hallway had 100 years of paint stripped completely down to bare wood as the paint system was failing. 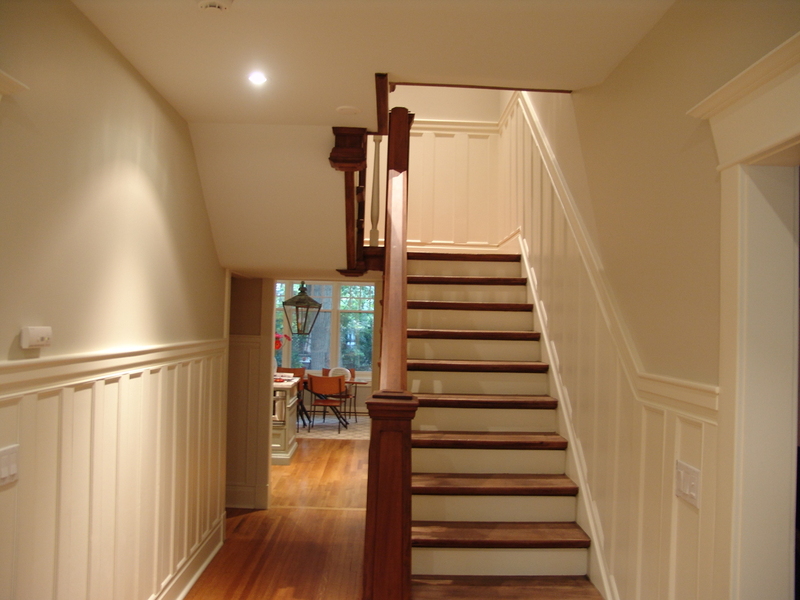 The staircase was restained and all wall paneling was repainted. This Toronto Painting Project in Forest Hill is almost complete.